When we talk about life skills in the ATA, (Honesty, Self-Esteem, Discipline, Communication, etc.) it’s interesting to me how much they overlap. Not only the foundational six life skills that we focus on at ATA, but the four or five dozen othercharacter traits that are so important to self-development. What Do You Estimate it’s Worth? 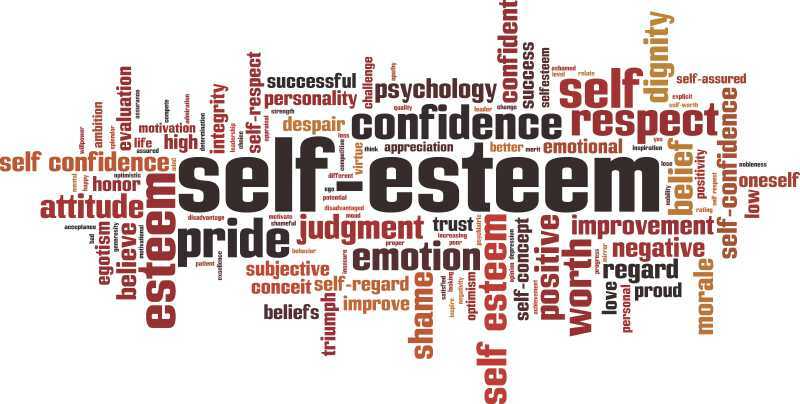 Looking at the classic definition of self-esteem, it derives from the words ‘estimate of worth of one’s self’. Or, in other words, being comfortable in your own skin – or being okay with who you are. Of course, self-confidence is very closely related, but confidence is more about your ability to DO something, and self-esteem is more about your worth as a person. Even though self-esteem has more to do with your worth, it’s not at all independent of your actions. In my view, self-esteem is in the top two or three most important traits – if not number one. Self-esteem is the hub, and the other traits act as spokes that support it. Without enough spokes in place, the Self-Esteem wheel just won’t work right. When I think about my long-term goal with teaching life skills to kids, it is this: I want to develop in children impenetrable, bulletproof self-esteem. I want to create a sense of self-worth that is so strong that they don’t need acceptance from their peers. Of course, peer pressure will always be there – we can’t stop that. But, if we can shore up their self-esteem enough, they won’t feel the need to cave into peer pressure in order to get acceptance. They will already be okay with who they are as a person. Getting back to the overlap of character traits, we are focused right now on honesty. We always start this discussion with the first pillar of honesty – being honest with yourself. How does that overlap with self-esteem? It’s simple. Like any good character trait, when you are honest with yourself, you feel good about yourself as a person. When you make self-honesty a habit, you begin to have an internal dialog that says, “I’m an honest person, I own my actions, and I own my failures.” Naturally, you begin to expect that from yourself, so you try to live up to your own expectations. Like anything you dwell on and believe in, it becomes a self-fulfilling prophecy. That’s true whether it’s good or bad. I can’t stress enough how important it is to dwell on the right things. Or if you’re a parent, to make sure your child dwells on the right things. How do you do that? If you remember nothing else, remember this: The things you tell your children are the things they will believe about themselves. For example, what if you constantly say things like, “You never listen!” or “Why do you always make me tell you ten times?” You just told your child two facts about themselves that they should accept as normal behavior. What if you took a different approach? What if you told them how proud you were the last time they cleaned their room or picked up their toys the very first time you asked? What if you told them how proud you are that they are a good listener? Don’t get me wrong, here. It’s not something you can do once in a while, then give up because it didn’t work perfectly the first time. You must keep at it, day after day. It’s all about reinforcement – positive reinforcement. The same idea of positive reinforcement holds true for other character traits as well. I realize we went off on a bit of a tangent there, but I wanted to illustrate the idea that it’s our responsibility as adults to keep the conversation going in the right direction. Make no mistake, it isn’t always easy. It can be hard to be consistent, but I believe that when children are given with the right attitudes about themselves, they will start believing it. Then they will begin behaving in a way that reflects what they believe about themselves. If we’re diligent, I believe our efforts as parents will pay off, and children will naturally start boosting their self-esteem on their own.